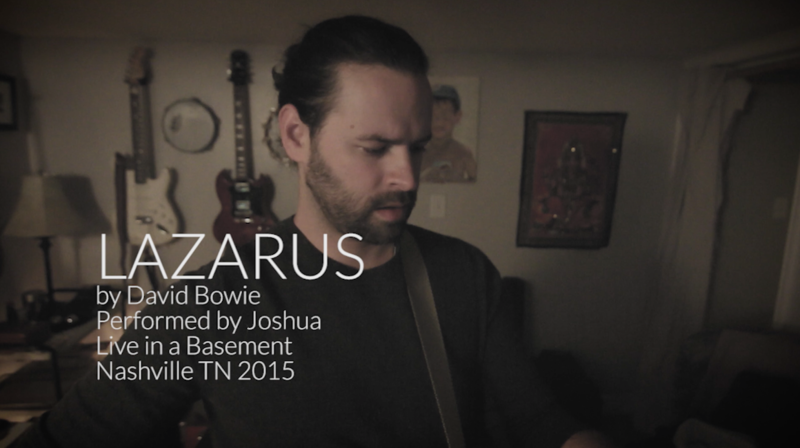 LAZARUS - David Bowie COVER by Joshua - Joshua C.S. It was hard to take the recent passing of Mr. David Bowie. I wrote at length on this topic in my mailing list, so I’ll simply say here that he will be missed. His influence will last for years to come in not just my generation, but many past, and many to come. This is a simple acoustic version of the beautifully arranged and written LAZARUS by David Bowie.